Intellispring Technologies Intellispring designed and implemented a 30,000 user WebEx Spark solution. 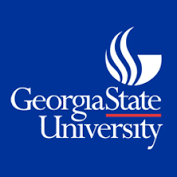 This integrated, cloud-based solution, developed in concert with leading higher education institutions, including for Georgia State University goes beyond email, learning management systems and portals to connect people, capture the vast knowledge and expertise within the education ecosystem, and make those resources easily available to students and teachers anywhere. The WebEx Social for Higher Education offer helps colleges and universities transform processes for increased productivity and innovation, while substantially reducing IT infrastructure cost and complexity. Users can quickly identify subject matter experts, gather group feedback, co-author documents, / immediately with ready access to mentors, relevant communities based on their course of study, class syllabus, reading lists, and links to informational videos.